In the weeks leading up to Christmas, I’ve read quite a few Christmas pieces. Most of them have focused on reminding everyone that “Jesus is the reason for the season.” I do agree with the general sentiment of those pieces, but I think they miss the point. Because while they are correct that Christmas isn’t about presents, or Santa, or Rudolph the Red Nosed Reindeer, they seem to forget the true meaning of Christmas. They want us to remember the manger instead of presents – but what we really should be remembering is the cross. When we focus too much on the manger, and not enough on the cross, we lose sight of what Christmas is really all about. What happened in the manger, by itself, didn’t change anything. What happened in the manger is important, certainly. But what happened at the cross, and then the tomb three days later, is really what changed history. Billions of babies have been born into the world. Thousands of people have claimed to be a Messiah. But only one of them died for the sins of the world and rose again from the dead. Don’t get me wrong – I’m not saying Christmas isn’t important. We celebrate Christmas because it was the first in a series of events that would change the world. It was certainly an amazing event – the miraculous virgin birth that was the fulfillment of prophecy. There’s no victory without the resurrection. There’s no resurrection without the cross. There’s no cross without the manger. But I fear that we focus too much on the manger, to the ultimate exclusion of the cross.We forget that Jesus was born to die on Calvary. 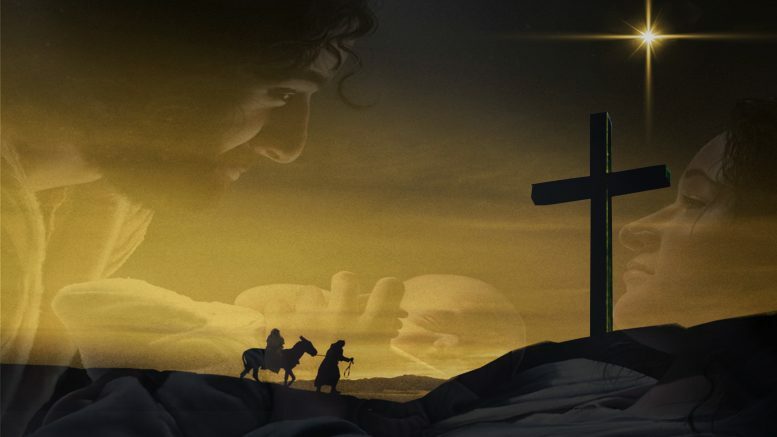 We prefer to think about the adorable scene in the manger – the baby Jesus, lying peacefully in the hay with the Wise Men bringing him gifts – not the painful death He died thirty-three years later. That’s not entirely wrong, I guess. It’s natural to prefer to think about happy times. But part of the problem with that approach is that we put Jesus into a little Christmas box and wrap Him up and never let him out of the box. We set aside one day to celebrate Jesus and then spend the rest of the year acting like He doesn’t exist. It’s far too easy to celebrate Christmas without ever really knowing Christ. Jesus came to change the world. But more importantly, Jesus came to change your life and mine. This Christmas, I pray that we won’t just celebrate the birth of Christ. I pray that we will remember why Jesus came to earth, and allow Him into our lives to change us forever. Editor’s Note: This piece was originally published by OUTSET Magazine on December 25, 2015. Republished here by permission of the author. Conrad is the Editor-in-Chief of Freedom Crossroads. A former politico-turned-journalist, Conrad has a passion for faith and politics, and covering stories where those two worlds collide. When not writing, Conrad spends his time playing baseball, taking photos, and hanging out with his golden retriever. Do We Care About Character Or Not?